Ambassador Mahit Dzmare travels to the capital of the Teixcalaanli Empire, eager to take up her new post. But when she arrives, she discovers her peoples’ previous ambassador was murdered - and no one will admit it wasn't an accident. Mahit must hunt down the killer, while somehow preventing the empire from annexing her home: a small independent mining station. The story was brilliant and thoroughly enjoyable and all the characters were so interesting. I thought the sci-fi technology aspects were very cleverly and thoughtfully done and the cultural elements were really rich as well. The author created a fascinating world and described it so poetically. I can't wait for the next installment! It was read very well so that the characters were easy to distinguish and the emotion came through very powerfully. It is good to see sci-fi with such a strong cast of believable female characters leading the story. It had plenty of intrigue, politics, action, suspense and surprises! Having listened to Adjoa Andoh read the Ancillary trilogy my expectations for Provenance were very high. I wasn't disappointed. It was thoroughly enjoyable and totally engrossing. 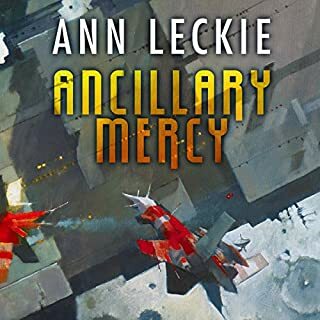 I just hope there will be more to come from Ann Leckie and that Adjoa Andoh gets to read them to us! I've listened to quite a bit of sci-fi on Audible and so far for me no other audio book experience has come close to being as good as this and the Ancillary trilogy! 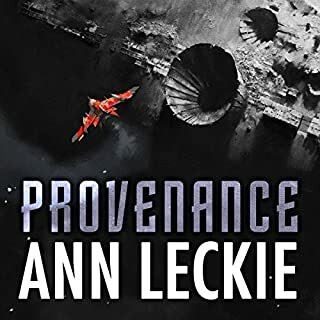 The stunning conclusion to the trilogy that began with the Hugo, Nebula, and Arthur C. Clarke Award-winning Ancillary Justice. For just a moment, things seem to be under control for the soldier known as Breq. 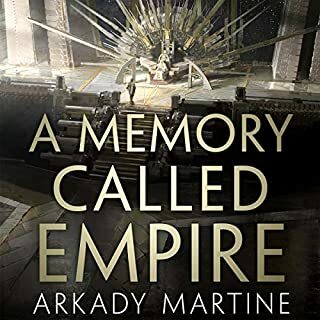 Then a search of Atheok Station's slums turns up someone who shouldn't exist - someone who might be an ancillary from a ship that's been hiding beyond the empire's reach for three thousand years. One of the most enjoyable audio book series I have ever come across. Brilliant storyline, truly likable and fascinating characters, plenty of action, mystey, suspense and some really nice twists. The reader also did an incredible job. Better than any I've heard so far.